The Odeon cinema chain is an iconic brand in British society and has always offered something special to is customers in my view. It’s always investing in making it’s cinemas the best it can be. 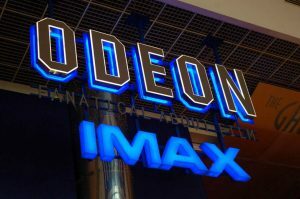 I visited the Odeon Gallery Cardiff bay which boasts the only IMAX screen in Wales! gbwls This along with its incredible ‘Gallery’ experience really sets the bar high for Welsh cinema. The state of the art technology behind IMAX is exceptional, with its sophisticated laser projectors and an incredible 12 channel sound system! It has a gigantic screen which gives a true cinematic experience! The picture is sensational, with outstanding sharpness, striking colour and captivating contrast, which really lured me into the movie. The sound was incredibly riveting and can take you to the roaring sound of a jet engine to the subtle sound of a pin drop, it was superb. 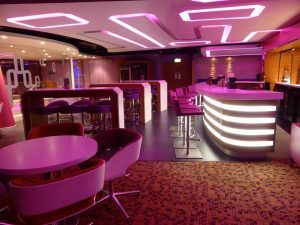 The Gallery section is located above the cinema lobby and offers a fully licensed bar, which is great to have a pre-movie drink. It also offers a selection of classic cinema snacks, like popcorn and nachos with all the extras, along with a variety of soft drinks, which are included in the recently lowered price of £17.75 per person, for the IMAX 3D experience. Non IMAX films are charged at £15.75 per person. I think these prices are extremely reasonable for the added extras you receive. 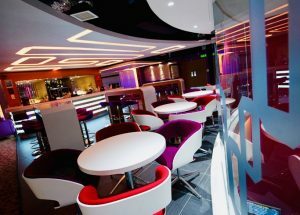 The private bar area is tastefully decorated with a futuristic feel to it. It’s also worth mentioning that the gallery experience is 18+ only, which is great for a more grown up experience. The staff were incredibly attentive and eager to ensure my visit was that of a high standard. I would like to mention staff members Lottie and Robyn who were extremely hospitable and engaging. Robyn asked if I would like to see the trailers or just the full movie, which was a nice touch. I opted to see the trailers as the IMAX screen really offers something special. The seats are upholstered in leather, offer a huge seat pitch and are extremely comfortable. You have a side table that holds drinks and other snacks, which is really convenient. 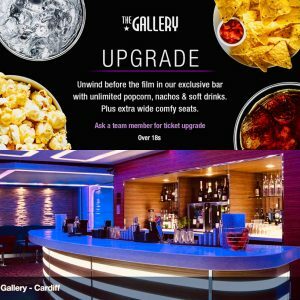 ODEON limitless members can upgrade to the gallery for an additional cost. I really can’t express enough how spectacular the whole ODEON gallery experience is and paired with Wales’s only IMAX screen it really is hard to beat! Visit the gallery today for an exclusive VIP experience, that you won’t forget.